Presently, one of the most interesting questions is how IoT is revolutionizing the world. Well, it’s not only disrupting a particular industry but also making changes in various sectors including farming, hospitality, smart buildings, retail and many more. But the effect of IoT is much more than this. IoT can help companies diminish cost through process efficiency, productivity, and asset utilization. It provides for upgraded tracking devices that include sensors and connectivity, so organizations get a huge benefit from the real-time insights and analytics. That helps them make smarter decisions. IoT is creating opportunities for companies, entrepreneurs, and industries. In the arena of farming technological innovation is not a new thing, but agricultural organizations and farmers are now adopting the concept of IoT for increasing their production capabilities and fulfill the demands of the world’s growing population. Smart agriculture is one of the advanced concepts that allows the farmer to do high tech farming according to the industry standard. IoT has facilitated through some devices, such as agricultural drones and advanced sensors. These devices can monitor animals and plants individually. Farmers are improving their day-to-day work efficiency through drones and sensor cameras. On the other hand, advancement of IoT-enabled practices, such as remote monitoring, livestock, and it can also obtain exact statistics of livestock and produce, that means IoT helps farmers accomplish the food demand of our nation. IoT is having a remarkable impact on the construction industry. Already it’s having a remarkable impact on both the construction and commercial real estate industries. The new concept call smart building is helping organizations reduce construction cost in this competitive market. Smart buildings give unprecedented energy and cost reductions in a similar way it delivers occupant comfort as well. In addition, smart buildings are importantly improving the concern of physical security. On the other hand, IoT connects facial-recognition cameras which help companies protect their offices, it also provides security in accounts, data thefts, and many more. Already hotels are using the advanced concept of facial recognition that allows hotel managers and booking agencies to identify the customer before he/she arrives to check in. Emotion recognition camera can help hotel staff predict if a guest is extremely hungry so they automatically ping the guest for recommending some delicious food items before he/she has asked for that service. And sensors help guests manage room temperature and lighting setting issue without any hassle. Well, the manufacturing industry is completely affected by the IoT. All areas of manufacturing including electronics and automotive have invested in some devices that can perfectly monitor equipment and assets, control rooms, and the complete maintenance systems. You can say that smart manufacturing is improving the productivity and efficiency of manufacturing operations. To get the various benefits from IoT, Fintech industry also adopt this concept. As the demand for IoT is growing tremendously because all industry wants security and complete their work in real-time. In the banking sector, IoT is managing all transaction processes through a variety of devices. We are already familiar with the terms of smart cash points which are connected with the vending machine. Soon these will allow users to take out a loan, transfer money, accept a deposit – it will handle other financial transactions as well. No one can question that efficient transportation of both people and goods is a major aspect of the seamless running of any society or economy. IoT is continuously disrupting this transportation sector through broadening operational efficiencies, enhancing public safety, and improving fuel efficiency through the capacity analytics. The IoT is a new technology that is booming in a speedy way. Although now we are quite familiar with the benefits and the concept of IoT. Actually now we start using this system to complete our work effortlessly and we will never stop to use it in our future. Forecasts believe that internet of thing devices will become larger in the coming years approximately 30 million to 75 million. 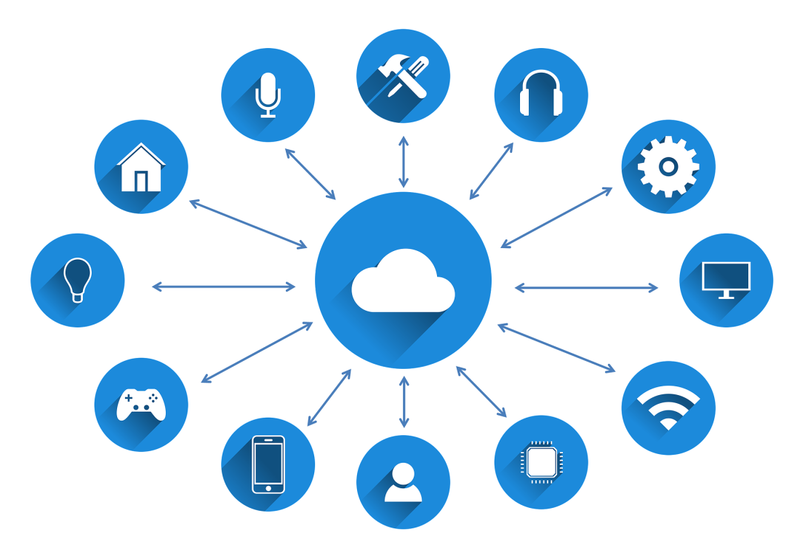 Hopefully, this article increases your knowledge about IoT and you get a clear idea of how it is changing these industries. Author Bio-Ritesh Patil is the co-founder of Mobisoft Infotech which is the leading mobile app development company in Houston USA. He loves technology, especially mobile technology. He’s an avid blogger and writes on mobile application. He works in a leading android development company with skilled android app developers that has developed innovative mobile applications across various fields such as Finance, Insurance, Health, Entertainment, Productivity, Social Causes, Education and many more and has bagged numerous awards for the same.